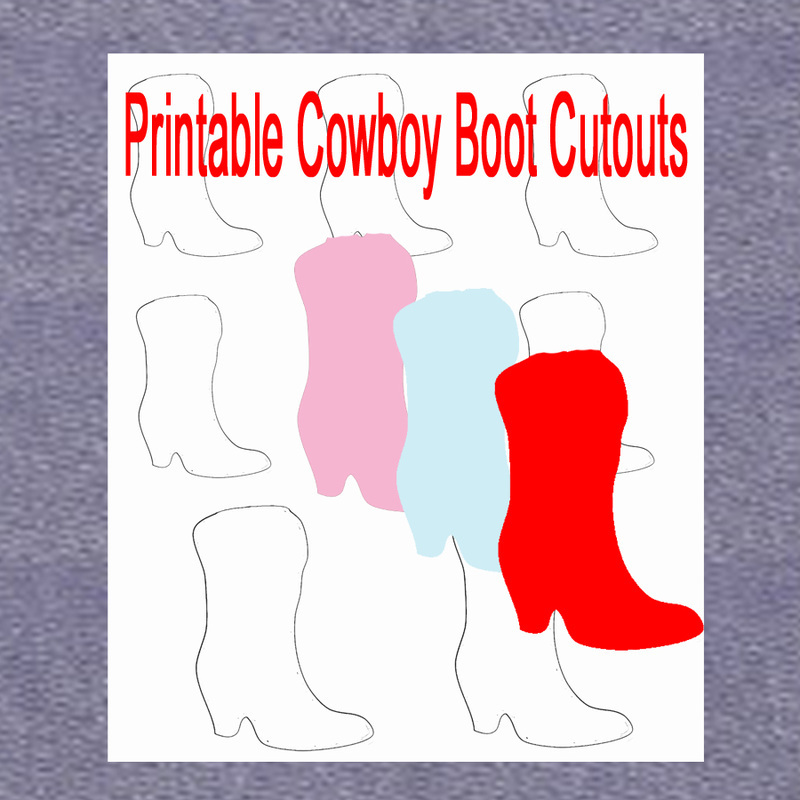 This is the guide to the free printables available from Dancing Cowgirl Design. 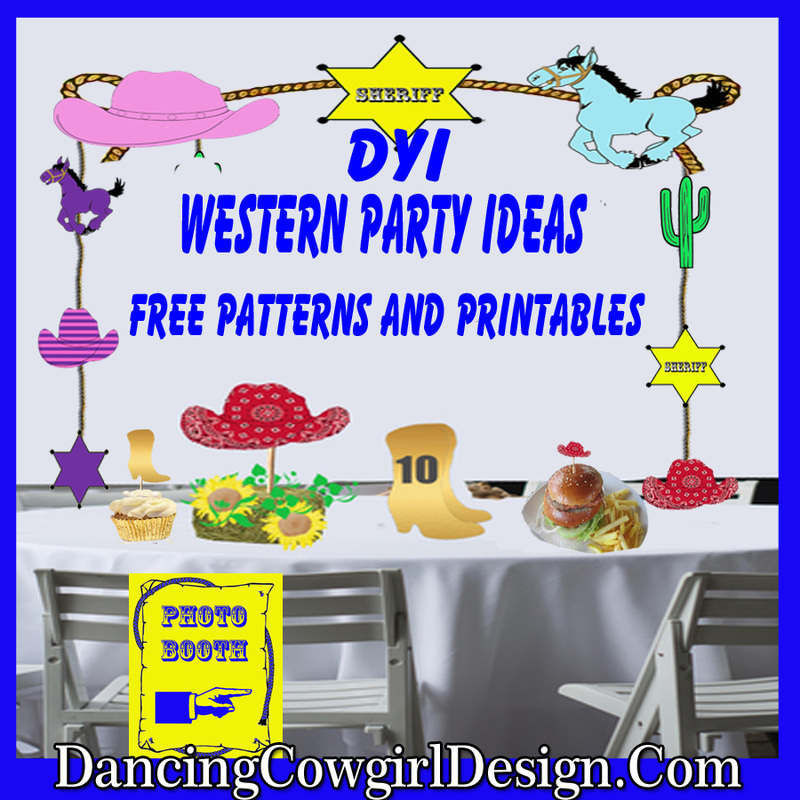 You will find free printable stencils, templates, patterns, party decoration cutouts, craft patterns, coloring pages and more. I have many free printables throughout this site and the list is always growing. Feel free to grab all you need. 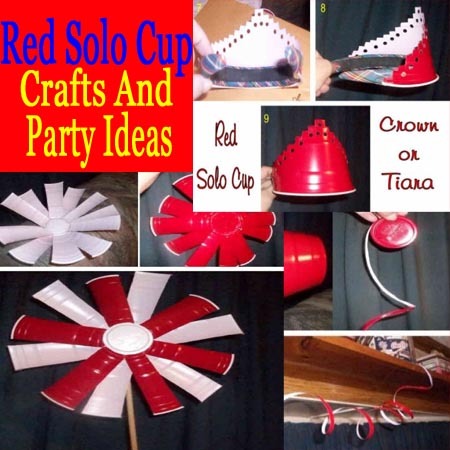 Many of these are related to party or craft idea pages. 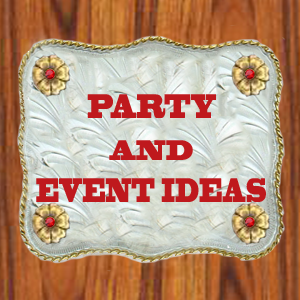 If you need some ideas, stop by those pages also. 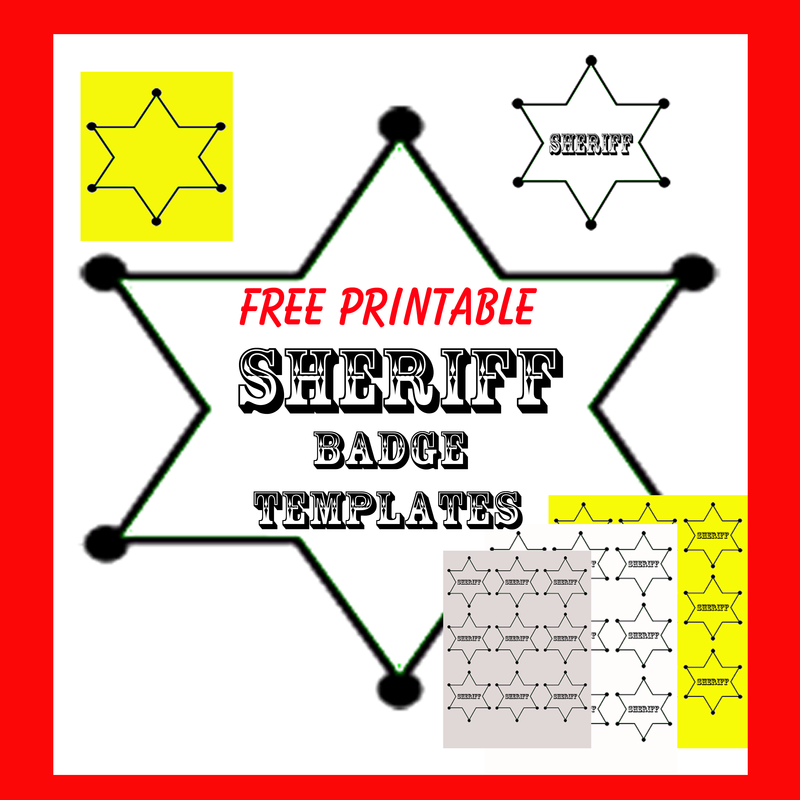 If you just need the templates, go directly to those using the link to get full size patterns. Visit this page to get the full size printable shapes shown here. String cutouts together to make streamers also. Mix and match them with banner pieces to add names. 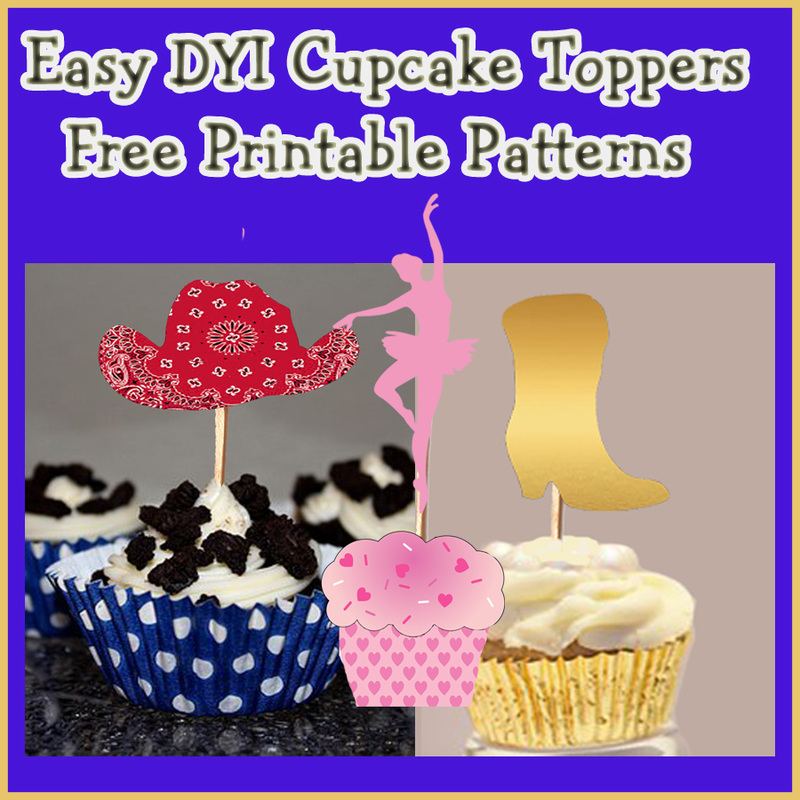 Make photo booth props on a stick with moustache, hat, glasses and other templates. Here is an example of adding a ballerina cut out to the glasses cutout . Below are some examples of the banners you can put together using the printable pieces. 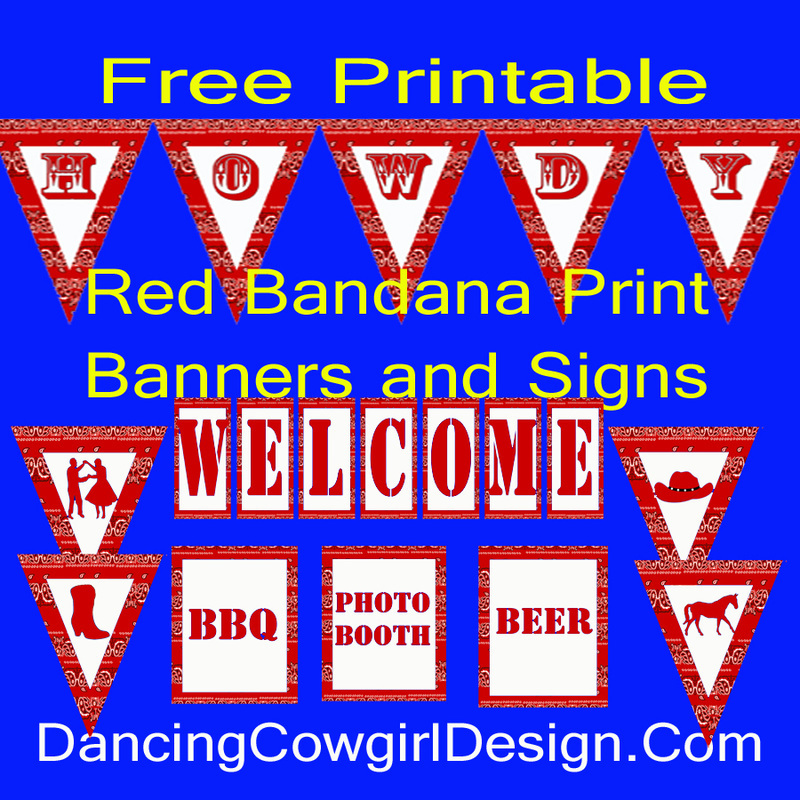 Go to printable banners and signs. 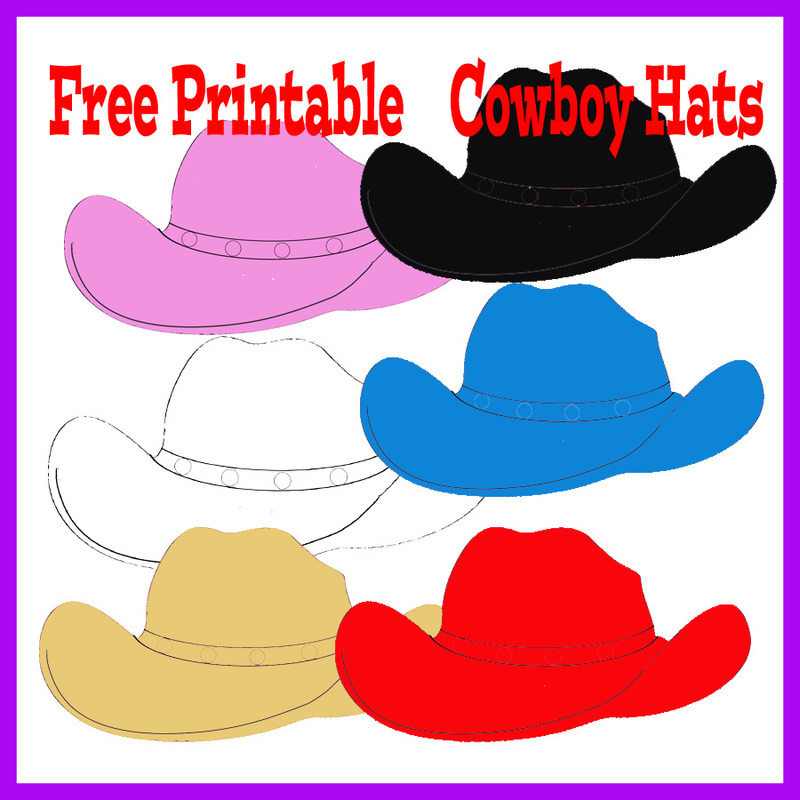 See my selection of coloring pages, games and activities that are free to print. 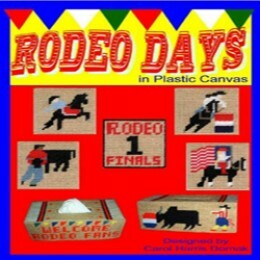 Print the patterns and sew these western plastic canvas coasters and tissue box.